St. Patrick's Day has been celebrated in Munich since 1996, and this year, a total of nearly 30,000 people were gathered for the parade and after-party, respectively held on the Leopoldstraße and Wittelsbacher Platz. The event, dedicated to Ireland's patron saint, not only serves a cultural interchange and musical and sporting entertainment. The annual indulgence in Guinness and whiskey (etc. etc.) is a sales opportunity which helps Irish communities in and around Munich to financially support the running of their clubs and activities. And it was in this, through helping with the booth-based distribution of Irish beverages, that Data Insights was keen to help by donating a couple of bartenders. 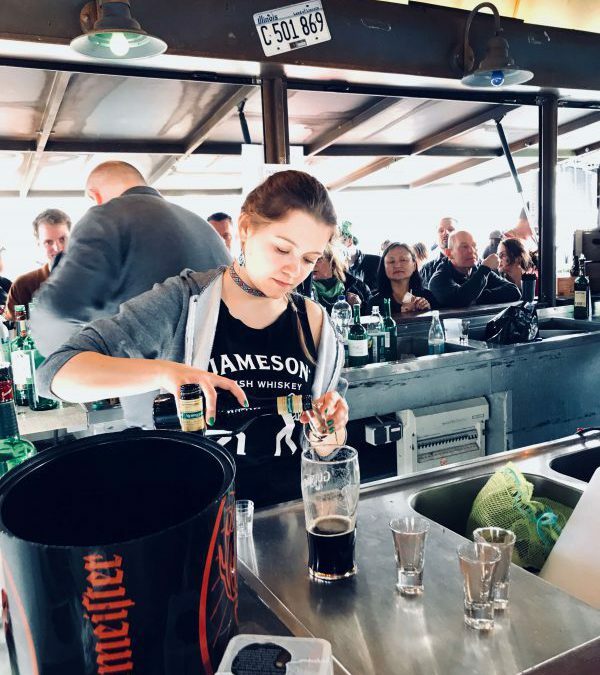 More specifically, Data Insights shipped two of its employees for the task, Sasha and Simon, who spent a full day serving up - not only for themselves - Jameson whiskey, Kelly’s liquor and many other drinks. 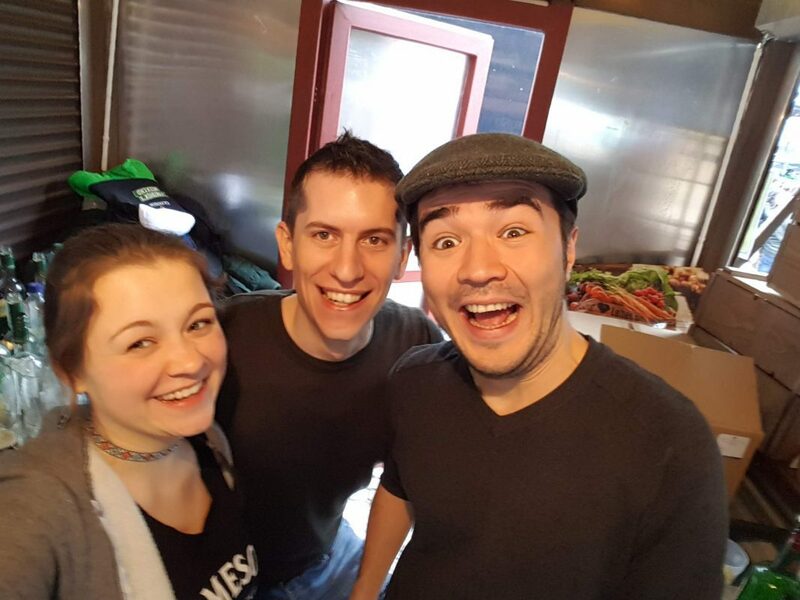 Sasha's impression of the day: "It is always great fun to help out at the bar since you get to work with friends, meet new lovely faces, and enjoy the music from the stage while being surrounded by the lively Irish atmosphere. This day not only brings loads of joy to the city, but also connects the Irish and Bayerish cultures." Simon says: "There was a brief period in the morning when it was calm and we were able to get a handle on the prices etc. After that, it was full on for about the next 8 hours. But there was such a buzz around the event and working with colleagues that it felt like only 7 and a half hours ;) I would gladly do it again." 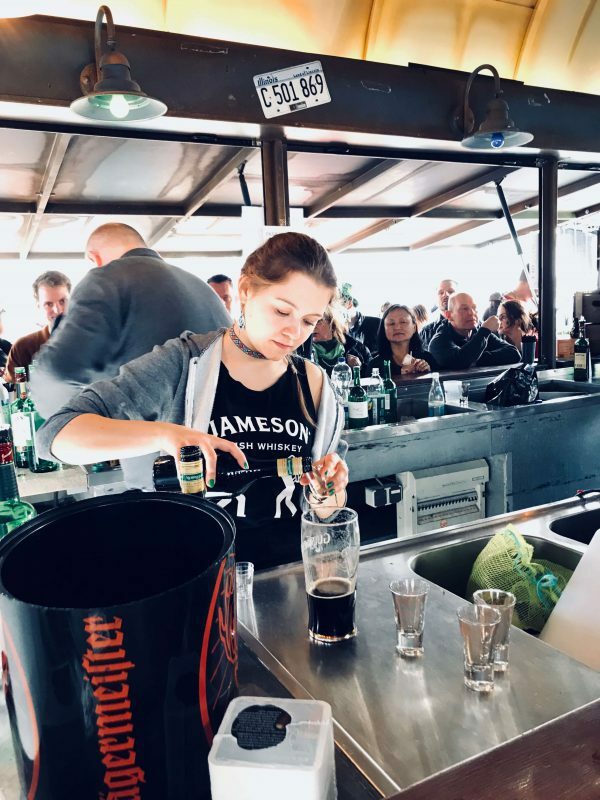 Yigit, who was able to help out for a few hours, said: "It is a great experience to gain a new perspective on festivals by standing on the other side of the bar counter. It was also amusing to work with my colleagues in a different environment."